Joey, Cole, Haden and Braxton have been a constant in my life since I was five, and I have loved being one of the guys. When we’re young, we don’t realize the profound impact certain people will have on our lives. I had no idea twelve years ago I’d meet four boys who would turn out to be my best friends, my soul mates – my barmy. Now school is almost done, our last summer together is drawing closer, and I’m trying to hold on to what we have while I still can. After this we’ll have to say goodbye to each other, as our choices will take our lives in different directions. But I don’t know if our friendship can survive once secrets and surprises begin revealing themselves to us at every turn. When it’s all said and done, will our friendships remain unbreakable? Or will our once strong bond prove to be weaker than we anticipated? Letting go is harder than I thought, but some changes are necessary. 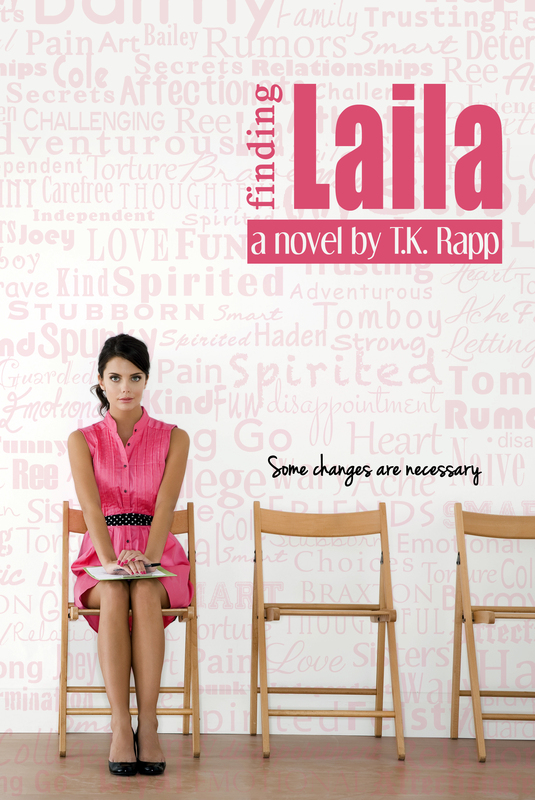 And finding Laila…finding myself…may be the greatest journey of all. I don’t normally consider myself a fan of YA books, but lately a couple of authors have changed that for me. TK Rapp is one of those authors. Finding Laila has a fresh premise with a grounded female lead who is supported by friends and family that love and respect her. While she faces challenges in discovering who she really is, she finds inner strength and pulls strength from those who surround her as she transitions to womanhood. This beautifully crafted story is one that will stay with me for a long time and will bring smiles and tears when I reflect back on it. The friendships forged by Laila and her “Barmy” challenge societal thinking about male/female relationships. I thoroughly enjoyed having the opportunity to read Finding Laila as it was being written and love the fact that it can be enjoyed by adults and young people too. I would have no qualms about letting my 14 year old son read the story based on its content. This was a 5 star read for me! “I guess we know the flavor of the week,” a female voice says from behind me, causing several others with her to laugh. I know they’re talking about me. They’re always talking about me. It’s been this way since I was in seventh grade, but I’ve made it my mission to ignore it. “She certainly gets around,” another voice chimes in. Cole is sitting to my left, Haden to my right and both guys are staring at the field, but neither is paying attention to the game. I watch out of my peripheral as Haden’s forearm muscles tense and relax while Cole bites his lip. They are intently focused on the words being thrown at me, but keep quiet for the time being. “She must be good because they all stick around,” a guy’s voice states in salacious tone that makes me nauseous. Haden smiles – proud of my display – and it pushes me on. I glance over to Cole who’s listening to everything, but is still watching the game. He smirks, as if he knows what’s coming and a smile of my own begins to break. They are gawking at me when I turn and wet my lips before winking at the girls. “If he wins, we all win,” I say huskily. “Touchdown!” The announcer yells and the crowd jumps to their feet to celebrate. All but the three jerks behind me. T.K. Rapp is a Texas girl born and raised. She earned a B.A. in Journalism from Texas A&M and it was there that she met the love of her life. He had a contract with the U.S. Navy that would take them across both coasts, and ultimately land them back home in Texas. Upon finally settling in Texas, T.K. worked as a graphic designer and photographer for the family business that her mom started years earlier. She was able to infuse her creativity and passion, into something she enjoyed, but something was still missing. There was a voice in the back of her head that told her to write, so write, she did. And, somewhere on an external hard drive, are several stories she started and never finished. Now at home, raising her two daughters, T.K. has more time to do the things she loves, which includes photography and writing. When she’s not doing one of those, she can be found with her family, which keeps her busy. 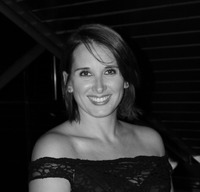 She enjoys watching her kids in their various sporting activities (i.e. doing the soccer mom thing), having Sunday breakfast at her parent’s house, singing out loud and out of key or dancing like a fool. She loves raunchy humor, gossip blogs and a good book. Posted in Author Biography, Book Blitz, Book Review, Book Trailer, Excerpt, Links, New Release, Penny Lisa, Synopsis. Bookmark the permalink.